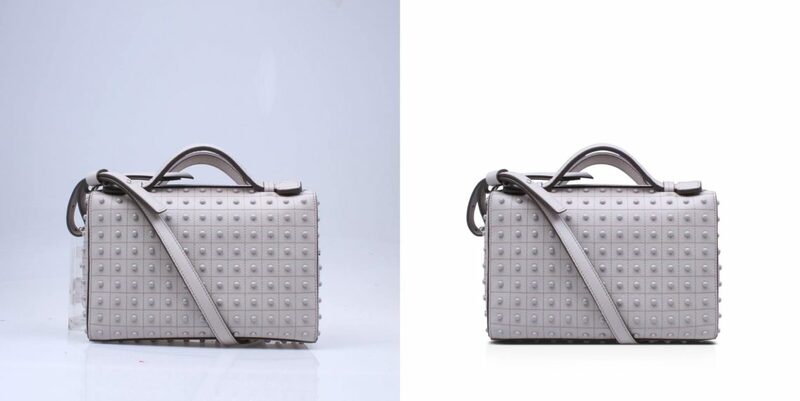 When it comes to Product retouching Services, correct exposure is very important. Working with a histogram enhances product photography. As white and light color objects are particularly hard to shoot due to overexposure, histograms ensure that the product image is not under or overexposed. When you adjust saturation and contrast, it is easy to correct colors and produce an attractive and consistent base map for your image. Light sources are highly important for Color Correction. The light used during the photo shoot should be of the same color temperature. If not, products will get different color casts. Strobe lights should always be used for product photography. Remember, lighting impacts the way color is perceived. The same color can appear different in a variety of lighting environments. As such, light plays a big role in how we see color. For the purpose of accurate color matching, reliable lighting sources can be used to offer consistency. A color checker is perfect for Photo Retouching Services. Not only does it create an attractive color profile for each set of images every time you change your lens, it also dramatically affects the color of the products. Without color charts, the colors will not come out as well as they appear on the product. After all, the goal is to get the color of the image on your screen to match the product image in real life. Color charts offer the optimal solution. Gray cards are perfect for Color Correction. After setting your lighting, shoot a card first to determine whether the color needs correction. These tools are specifically designed to balance color settings accordingly, making them ideal for Product Photo Retouching Services and. Using gray cards makes it easy to compensate for any illuminant color in your shooting space. All you need to do is to place the card where your product will stand so it reflects the light source. Choosing a good color system for its products is an important decision for any brand to make. It does not matter whether you are a single niche supplier or large-scale manufacturer, a good product image will give you a competitive advantage. However, not all color systems are the same. Choose one based on the ease of use of your system as well as your individual needs. Color match wisely.